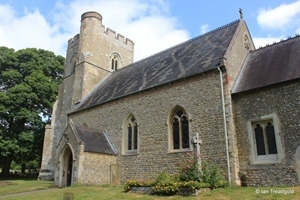 The parish church of St Mary in Kensworth is situated to the north of the present main part of the village of Kensworth. The church was situated in the original centre of the village but as new houses were built on Kensworth Common in C18 the village migrated to the south leaving the church isolated to the north amongst a secluded group of houses. The parish was originally in Hertfordshire but was transferred to Bedfordshire in 1897. Parking is available in front of the church. 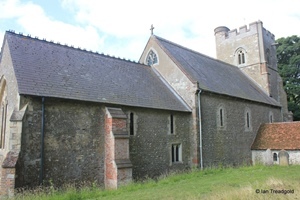 The church consists of a nave, chancel, west tower and south porch. 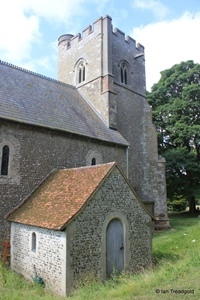 The bulk of the church is as it was when built in C12. The tower and the east end of the chancel were added in C15. The chancel is some 33 feet by 20 feet and the nave adds a further 47 feet by 24 feet. 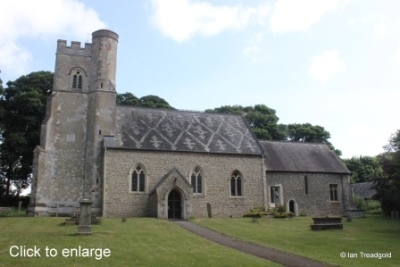 The majority of the church is constructed from flint with the C15 tower being built from Totternhoe limestone. 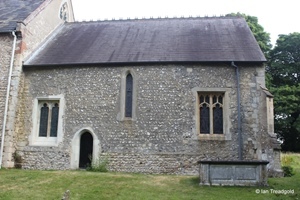 The south side of the nave has three windows surrounding the south porch, two to the east and one to the west of the porch. 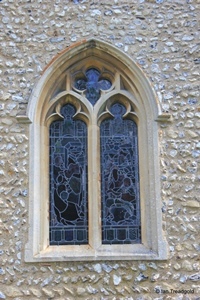 These windows date in shape from C15 although have been restored. The glass is modern dating from C19 and C20. All three are of two trefoiled lights with quatrefoil tracery under a pointed arch. 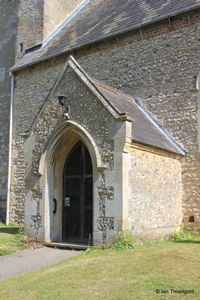 The south porch dates from Victorian times and protects the C12 doorway. The C15 west tower is primarily built from blocks of clunch and was rough-cast rendered in 1747 as noted by a plaque on the south face. 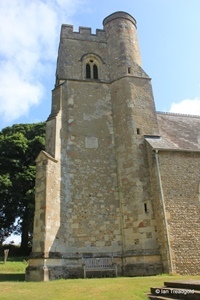 The tower has diagonal buttresses to the west and an internally accessed round stair turret in the south east corner. The buttress to the north-east has been used to disguise a chimney from the boiler below. The tower is the only part of the church that is embattled. The belfry lights are all two-light openings under pointed arches. 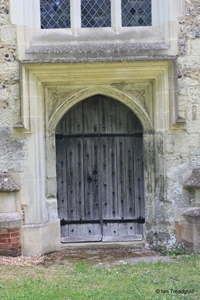 The imposing four-centred west doorway is under a square head with trefoil designs in the spandrels. The west window above is of three cinquefoiled lights under a two-centred arch. The window, doorway and west buttresses were restored in 1996. The north side of the nave has three high Norman windows restored in recent years. 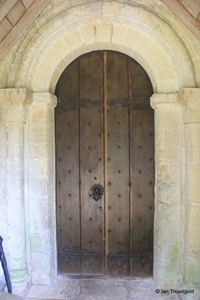 These surround the north porch. 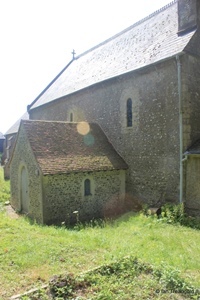 This is a modern porch dating from 2000 built to cover a re-opened medieval doorway and housing church facilities. 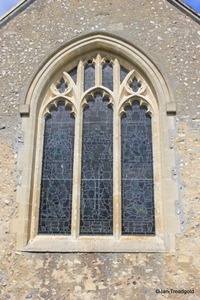 The north side of the chancel has two further high Norman single lancet windows. Below the western of these windows is a low-set C15 square-headed window of two trefoiled lights. 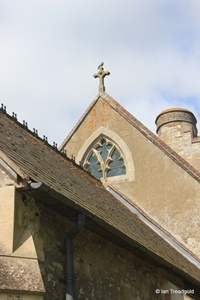 The roof of the church was originally flat and was rebuilt in 1854 to use Westmorland slate in place of the original lead. The work to add the roof led to a new window at the east end of the nave. 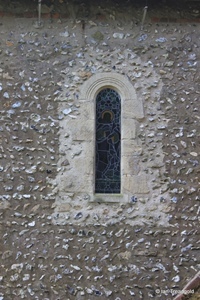 The slate forms a distinctive design on the south side of the nave still visible today. 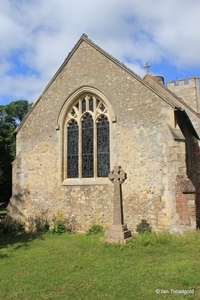 The east window is of three cinquefoiled lights under a two-centred arch with perpendicular tracery above and dates from the C15 in design when the chancel was extended by around 10 feet. 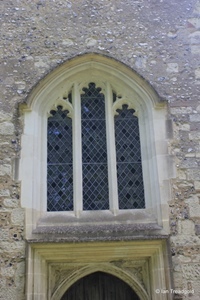 The south side of the chancel has three windows, two two-light square headed windows and a tall C13 lancet. 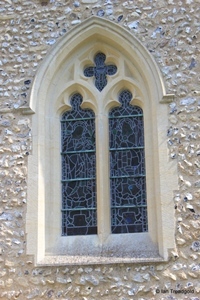 The eastern window has perpendicular tracery above.